A gentle snow is falling this morning, adding to the winter’s art. 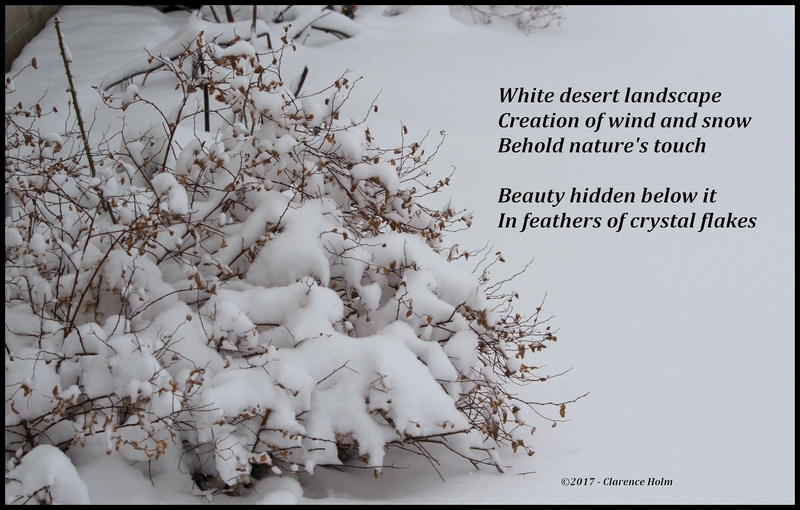 This entry was posted in Photography, Poetry and tagged Crystal, Haiku, Landscape, Poetry, White Desert. Bookmark the permalink.